This year’s Scott Kelby Worldwide Photowalk kicked off last October 3 and it was joined by thousands of photographers around the world. It’s an annual photo event where groups of professionals, amateurs and hobbyists walk around a location and capture snapshots. One of the thousands of photowalk locations was Liloan in Cebu, Philippines. It was a fine morning when I arrived in Liloan Municiapal Hall which is the starting point of the walk. It has been a long time when I last joined one and I was excited to roam the streets of Liloan. To jumpstart the excitement, I was amazed with their colorful hashtag that says #LiveLoveLiloan. At around 8AM, the group gathered and officially commenced the photowalk. We passed by Titay’s, named after Margarita “Na Titay” Frasco, who created the first tasty and uniquely-shaped cookie loved by Cebuanos, the Rosquillos. Since April 3, 1907, Titay’s have been a favorite stop-over for people traveling to Northern Cebu and now they have grown to cater more delicacies. Speaking of food, we also passed by the Liloan Public Market where you can find a diverse amount of goodies to satisfy your appetite. From merienda, fruits, grilled fish and meat and even Cebu’s all-time favorite Lechon, you’ll definitely find it here. The San Fernando El Rey Parish Church is one of the oldest standing heritage structure in Liloan that was established in August 23, 1844. Do you know that the walls are a meter thick? Just a few meters at the back of the church is the coastline and we were able to shoot some seascapes. Another heritage site is the Balay Pilapil that was built in 1892 by Inez Tagalog and Tan Eugenio Pilapil, the grandparents of Pilar Pilapil. The view of Silot Bay from the bridge. The Parola near the Municipal Hall. Isn’t it nice? Actually that is just a replica so we need to travel to the real one. Thanks to Liloan LGU, we had a nice and cool ride to the Parola. 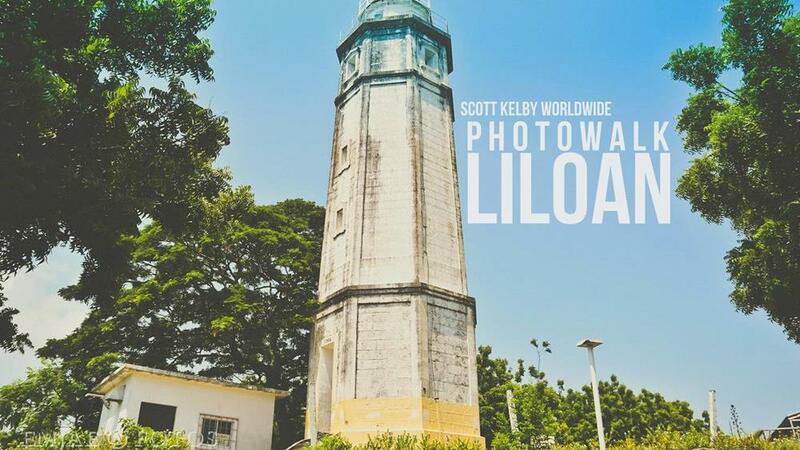 This historic lighthouse at Bagacay Point is the best known landmark in Liloan Cebu that was built in 1904. It stands 22 metres (72 ft) tall and remains in active use today using solar energy. Isn’t it amazing? Check out this video of the photowalk by Vicfer Ybañez‎. Beautiful photos! Have you visited their Sunday food market? You can fill your tummy to the brim with luscious food at affordable prices. Also, have you tried Liloan’s halo-halo? There’s a small halo-haloan just beside the church. They serve an amazing concoction of ice and goodies!